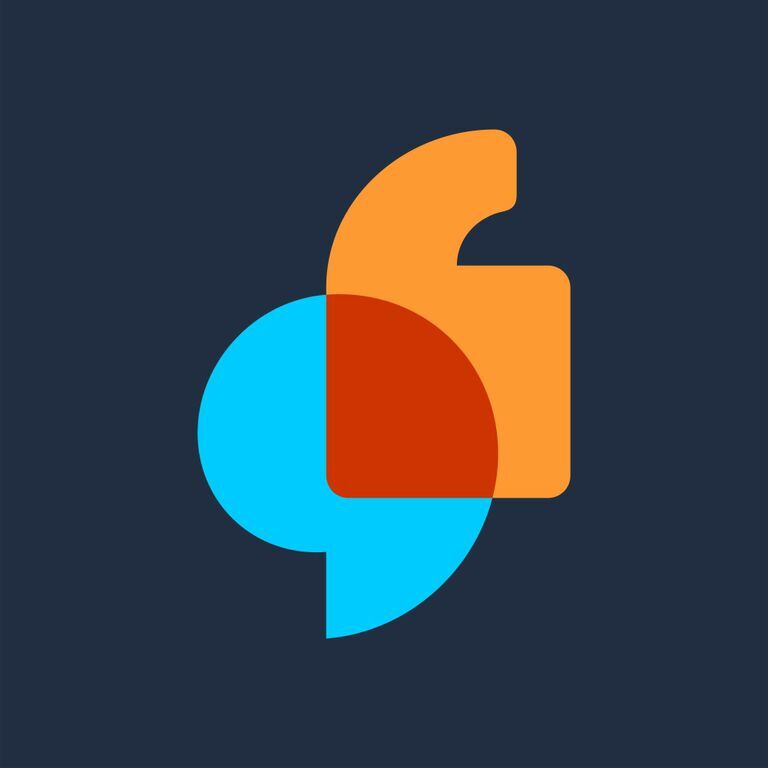 Brazen is completely a text-based chat platform. Learn about Chat and the Group Discussion Feed. 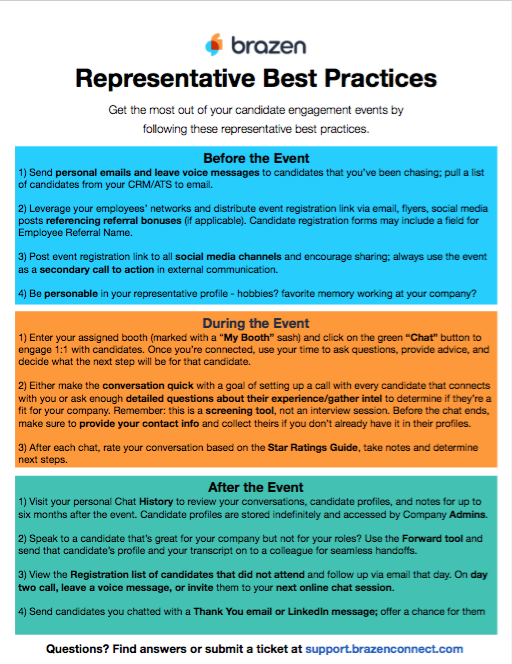 Guide: How should I prepare to participate in a live event as a representative? View a recording of a representative training on the next tab! Love to multi-task? Then you'll probably love multi-chat. If enabled by your event admin, SmartQueue allows you to connect with the best participants for your specific roles or opportunities during a live event. 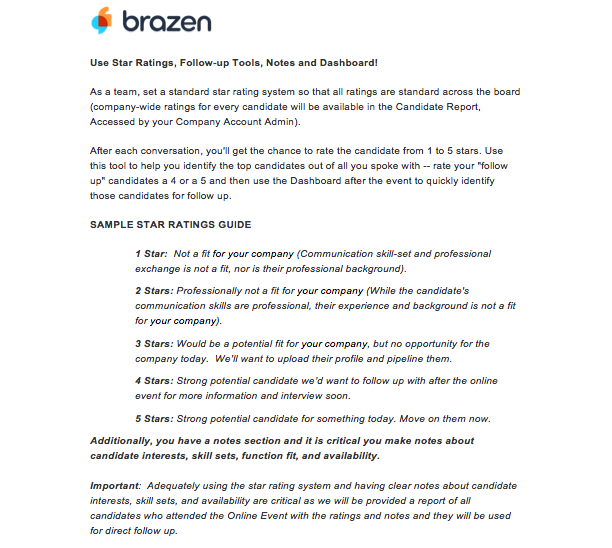 Schedule follow-ups to maximize how you reach out to candidates.